Be on your guard … lawless men! Piper claims to rest his case on the Bible, but if you read carefully, you will find that he introduces his new ideas as things he thought of whilst reading e.g. Pascal or C S Lewis. His early chapters put forward various amendments to the classic ‘purpose of man’: that is, “to glorify God and enjoy him forever”. He claims that replacing the word ‘and’ with ‘by’ makes as much truth and sense as the ‘traditional’ view. 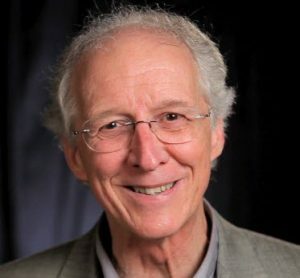 He also claims that God glorifies and enjoys himself. These things are put forward as conjectures – then promptly assumed as facts. Piper does not present cogent Biblical arguments for his novel views. When you first meet a long section devoted to scripture, the scriptures quoted correctly point to the sovereignty of God in a section which Piper entitles “The sovereignty and Happiness of God”. The verses have nothing to do with God being happy, but he subtly slips between his novel ideas and Scripture, as if there was some connection between the two. Piper takes the verse “God … does as he pleases” and makes a real `meal’ of this, arguing that it means that God is making himself happy (he later argues that it (also) means God is sovereign – which is indeed the correct meaning). If you say that a man ‘did as he pleased’, it is not usually your intention to describe how happy he was becoming – rather you are saying he acted independently of outside influences. Piper constantly uses very ‘thin’ arguments – I would even say vacuous sometimes – to prove his ‘new angle’ on well understood ‘old’ – dare I say eternal – truths. A key argument is that “Delight yourself in the Lord” is a divine mandate for passionate pursuit of pleasure. Standard Bible teaching on the two ways to live, as outlined for instance in 2 Timothy 3, is ignored, and perhaps despised. “In the last days there will be terrible times … loves of pleasure … rather than lovers of God”. Like many modern authors, Piper argues mainly from experience: `I used to wrestle with this difficulty, then I came across this amazing ‘truth’ of which most of mainstream Christianity seems to be ignorant … now everything in the garden is lovely’. This does not sit very happily with the method that many Christians have used to keep themselves from error for many centuries: namely, they read the Bible regularly and systematically, picking up, with the Holy Spirit’s help, its main thrust and themes. One of these themes is that following Christ will be hard and that there is the matter of keeping going when our feelings are not ‘up’. This Piper prefers to forget. Was Job seeking his deepest `happiness’ when he held onto God in the darkest depths? Needless to say, Job is not brought forward as a Bible example of a man seeking happiness in God. Recent decades have seen the world `move’ from knowing that seeking pleasure was not God’s Way but doing it anyway, to arguing that seeking pleasure is natural and good. Piper mirrors this unholy change in recommending to the Christian precisely this same change of thinking. From this flawed basis, he argues for finding ones delight in God. This is a scriptural result based on a worldly argument. 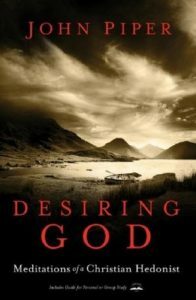 In as much as he argues that the pleasure a Christian derives from God is of the same type that the pleasure-seeker wants, but greater in measure, he fails to acknowledge and honour the Biblical antithesis between the true, holy and lasting pleasures of the believer, as compared to the passing, ultimately unsatisfying, and godless `pleasures’ of the unbelieving world. Overall his book is confusing: a dangerous mixture of error with some deep truth. If you decide to read it, I recommend you write in large letters on a bookmark the words of 2 Timothy which contrast the seeker of pleasure with the seeker of God, and keep this in mind as you read each new paragraph. I also recommend that you check, with each new assertion Piper makes, whether it is grounded in a proper systematic exposition of Scripture, understanding the true meaning of any texts quoted, in the light of the overall emphasis of the Scriptures as a whole. If you decide not to read it, I warmly commend to you the writings of J C Ryle, C H Spurgeon, Peter Jeffery, Derek Prime, and others of a similar stamp, who know the message of the Bible and are clear and helpful in what they write, rather than trying to copy the unbelieving world.